12-pack. 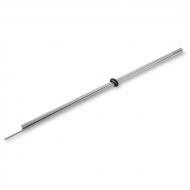 Length, 12 in (305 mm) Mandrel diameter determines the size of the bead hole. The basis of flameworked bead making.